US , UK , Canada, Australia, New Zealand, Singapore, Malaysia, Germany Dubai, Switzerland and Korea. Canam Consultants is situated at Sector 17, Chandigarh. 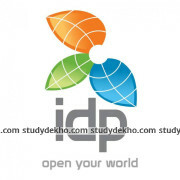 The motive of this institution is to help people to fulfill their goals. Canam Consultants has expertise in consultation. At Canam Consultants, the consultants try to interact with their clients and understand their needs and requirements and then advise them the field they should opt. They believe in providing full value to the time, money and trust people invest in them. Canam Consultants is specialized in providing services in fields such as study visa, tourist visa, spouse visa, and permanent visa. AIEC conducts extensive research that goes into offering solutions to the questions be it Financial, Educational or Personal. The expertise helps the clients to decide the most appropriate option for a better future and also looks forward to building a long term relationship. They provide advice and assistance which is proven beneficial for a lot of clients registered with them. They believe in building a long term relationship with their clients with a foundation of trust. It aims at saving valuable time and getting productive output. I’m extremely satisfied with the quality service.. Staff members are very cooperative and affable in nature especially pallavi ma’am and sunaina ma’am . I got my visa approved just in 10 days . it was a wonderful experience with canam. the whole process of visa filing was done in a very easy manner and there was no burden on me and their fees is also very economical. Without hesitation, everyone should go to them for their visa handling. They are highly trustworthy and concerned for their clients. I have applied through Canam consultants for my studies in Canada. I am very thankful to the faculty members for their guidance throughout my application process and made my dream of settling abroad come true. Nice services, very experienced file handling staff, co-operative staff members, they are much quick and successful than other immigration consultants. Canam consultants have very strong social and media presence. they are regularly updating the latest entries of the students whom they have sent broad on the social platform. 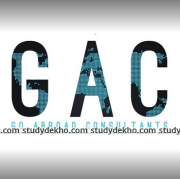 Their efforts are abundant enough so that the clients aspiring to go abroad are never disappointed and are in their dream country thereafter. they also help the people even in the abroad countries so that they are helped in any possible way there and are attracted to become their permanent clients forever. They will take all the responsibility of file handling and processing the offer letter process. the CanAm consultants is a leading name in the market for immigration and consultancy services. 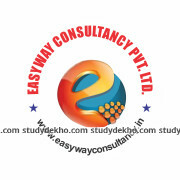 they are highly rated by many students for whom they have achieved their dream for going abroad and settling there. Very good staff and good services . Consultants at Canam are experienced enough to guide through whole process efficiently. 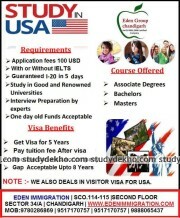 I found their guidance best in visa business. Excellent service by Canam Chandigarh. Would highly recommend this place to everyone for their master courses. Outstanding service. I had fabulous experience with Canam consultants. COOPERATIVE and Knowledgeable staff .I got my canada visa within 15days Thanks canam to fulfill my dream ???? I had a great experience with Canal Consultants. I had a great experience with Canam Consultants. They have expert and cooperative staff. 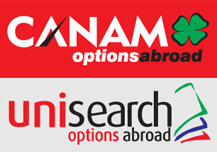 i recommended to all please visit to canam Consultants and fulfill your study abroad dream. Worst place to consult. Never visit here. Many people have been defrauded by canam consultant. Having filled fees they never pick up phones.